DrTim's Aquatics has created products that are based on real scientific research, and so they really do work. You should read more about each of DrTim's products. 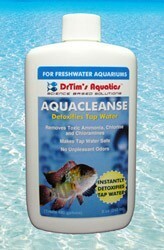 AquaCleanse Tap Water Detoxifier for Freshwater, 2 oz. 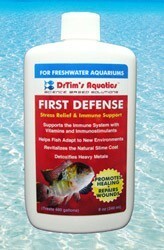 First Defense Fish Stress Relief for Freshwater Aquaria, 2 oz. 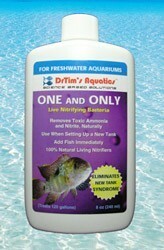 One & Only Nitrifying Bacteria for Freshwater Aquaria, 2 oz. 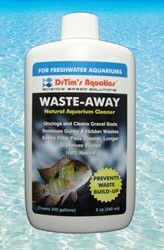 Waste-Away Sludge Busting Bacteria for Freshwater Aquaria, 2 oz.